Box and circular gritters in symbiosis. All free-flowing materials such as sand, gravel, salt and granulate are employed in municipal and industrial applications. With modular components, the spreaders can be adapted or equipped for highly diverse requirements as desired. Similar to the rake blades, the Wiedenmann spreaders are specifically conceived for communal requirements that often change. Options such as the circular gritter ensure a rapid change from sidewalks to parking places and/or through roads. 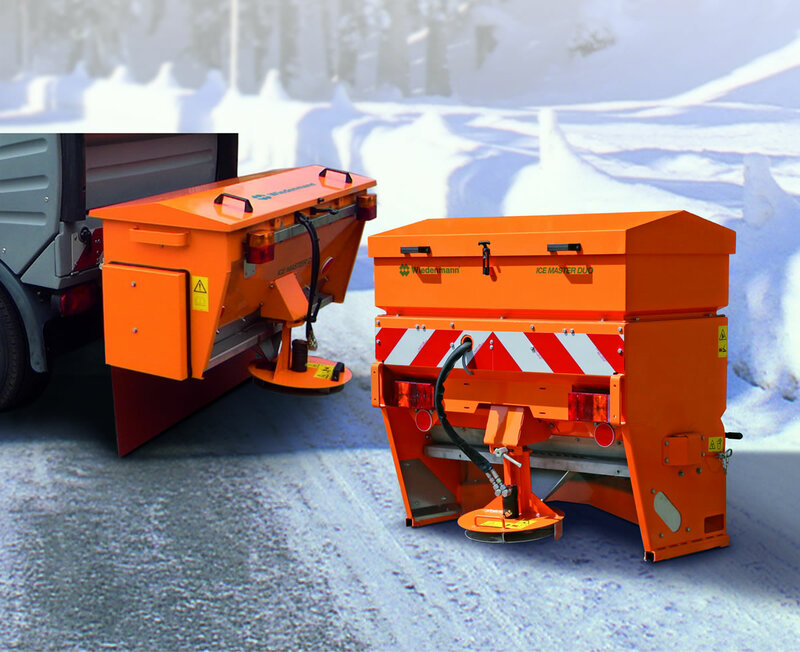 ICE CONTROL as route-speed related spreading ensures cost-conscious and environmentally-friendly use of the grit material. If you are interested in our ICE MASTER DUO 200 / 250 use the quick enquiry form below.